Living in a warm and humid climate like ours, most of us are probably used to sweating profusely; whether its from a simple jog in the morning or even during midday as you walk out for a meal during lunch break. It's not something of an inconvenience mind you, but more so that our body is acting and regulating our body temperature naturally towards the environment around us. Nonetheless for some, this does become an issue when the person has excessive sweating (also known as hyperhidrosis) which unfortunately gets triggered for no specific reason. It is something that quite a few people I know of suffers with; which is hence as to why I thought I should bring to light about this new technology from Dermadry. 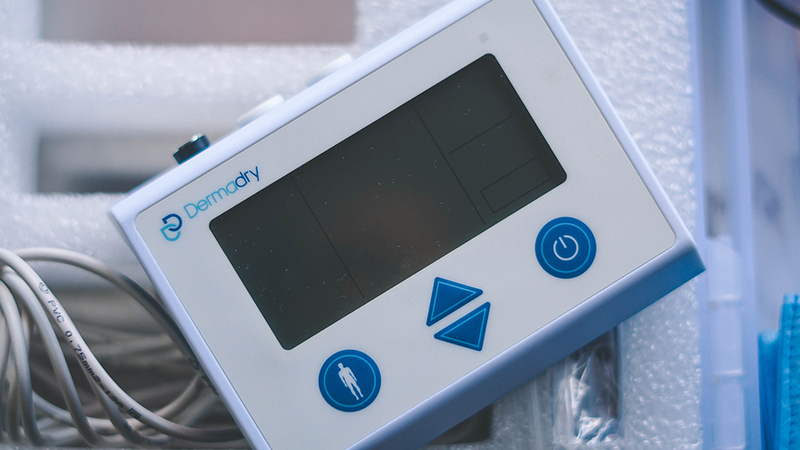 Now Dermadry is a brand from Canada and it has an iontophoresis device that is able to treat this specific issue from the comfort and privacy of your own home. 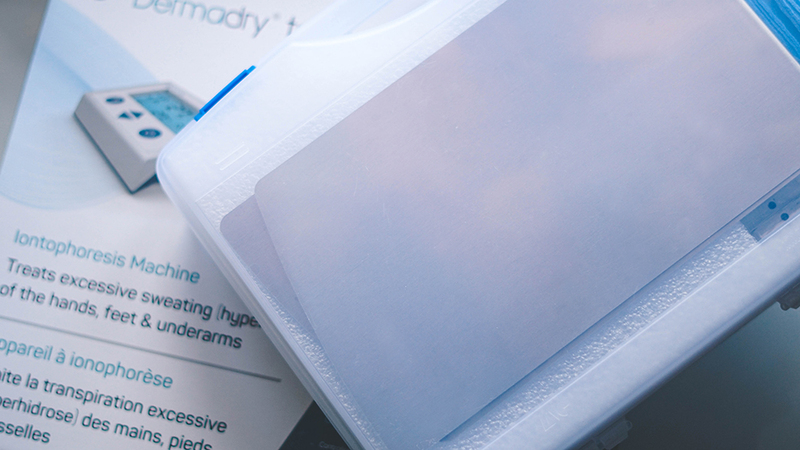 Plus for those of you who struggle with hyperhidrosis on a daily basis; I would say that it is also a more safe and effective way to treat the issue rather than heading out and opting for surgery or even spending on continuous botox injections as well. And while I am aware that this is probably a topic that most of us rarely discuss; I do think that it is important to have a talk about; just because there are probably a lot of people that have it more than you would think. So the question is; how does the iontophoresis device work? Well to begin with, Dermadry's technology in itself is pretty innovative, but surprisingly the understanding of it is pretty simple, where all you would need is to utilize tap water to direct a small current through the skin that neutralizes the connection between the sweat nerves and sweat glands. 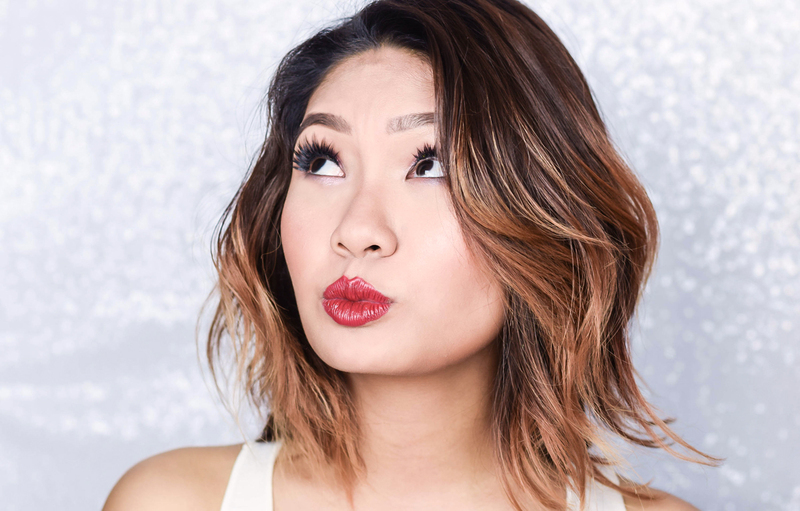 This might seem a little daunting at first, but rest assured that the treatment is indeed very safe and is certified by Health Canada as well as being clinically proven and recommended by dermatologists. Now the product comes in a well-presented box that comes directly from Canada, and what was really appreciated about it is that the brand offers free international shipping, which makes its access easier to everyone. There is a 60-day guarantee that comes along with it along with a 1 year warranty for the product. 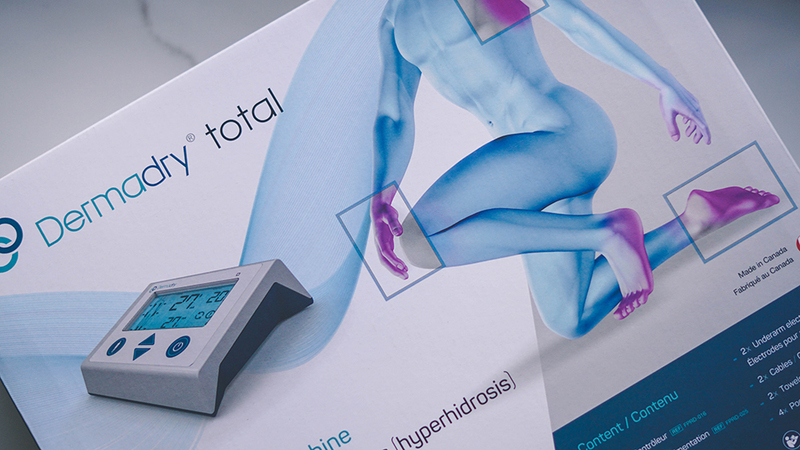 The mechanics of using this product is quite straightforward, and as can be seen in the instructional video that I have inserted above, there are also proper treatment profiles that have been suitably programmed for the underarms, hands and feet, so you needn't worry on what to do if you are a first time user. The current strength can be adjusted as well and as it gets activated, it would gradually increase till it reaches its main point mark that you have set for it. 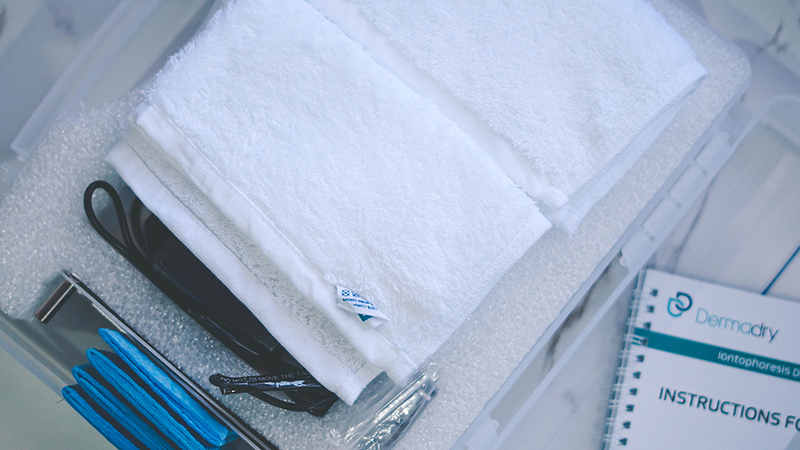 Always ensure that the electrodes are place within the towels and pockets upon use for safety purposes. 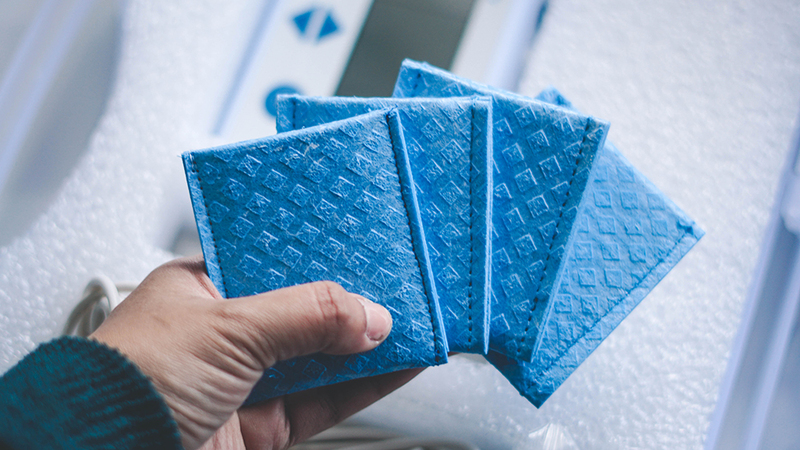 The towels and pockets are reusable and are washable, but you can also purchase replacements as well. Always moisturize after each treatment. Ensure to have your pockets and towels well aligned over the electrodes for you may experience slight irritation if you don't. If you suffer from a specific health condition, do consult or seek advice from a health professional. Now I don't really have severe hyperhidrosis, but the palms of my hands do perspire whenever I get a little stressed or nervous; so having used this for the past 8 weeks has really helped the situation and to be honest, it has also been quite an eye opener for me as well, for I have definitely seen an immense improvement on it. 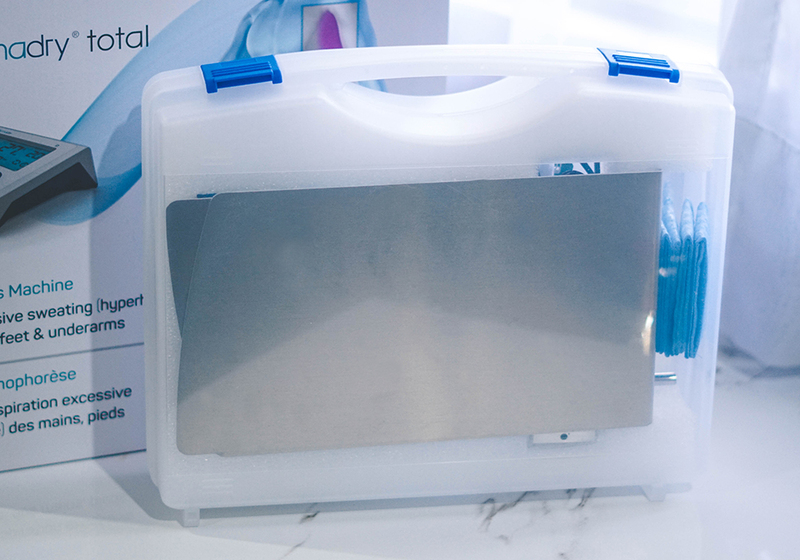 Plus seeing as you don't have to spend a fortune for clinic treatments and could instead opt for this device instead, is just fantastic as well. In the meantime you guys, I really hope this article and video demo has helped you out, but if you all would like to know more about the product or the brand, you can also head on over to Dermadry's Official Website for more details.